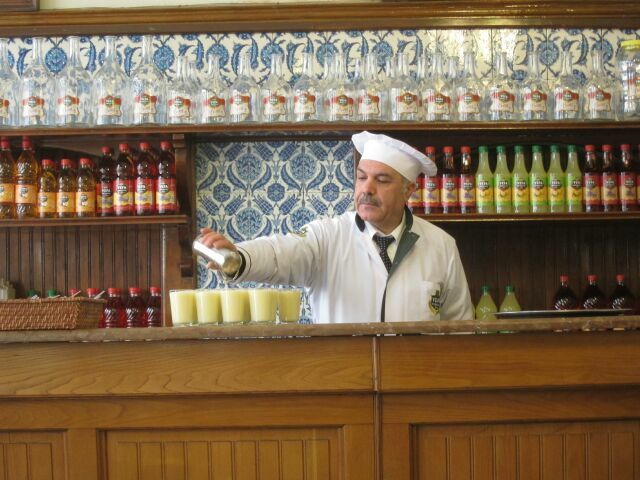 Just when you think you have discovered the ultimate Turkish food or drink, along comes boza. 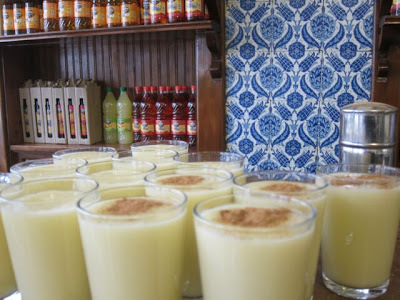 Boza is a very special drink that I will forever associate with a very polluted Ankara circa 1976 and the mournful cry on a winter’s night of boooo –zaaaaa reverberating from the darkened street outside. It immediately takes me back to when my girls were little, fast asleep in their beds and there I was wondering what on earth I was doing in such an exotic place! 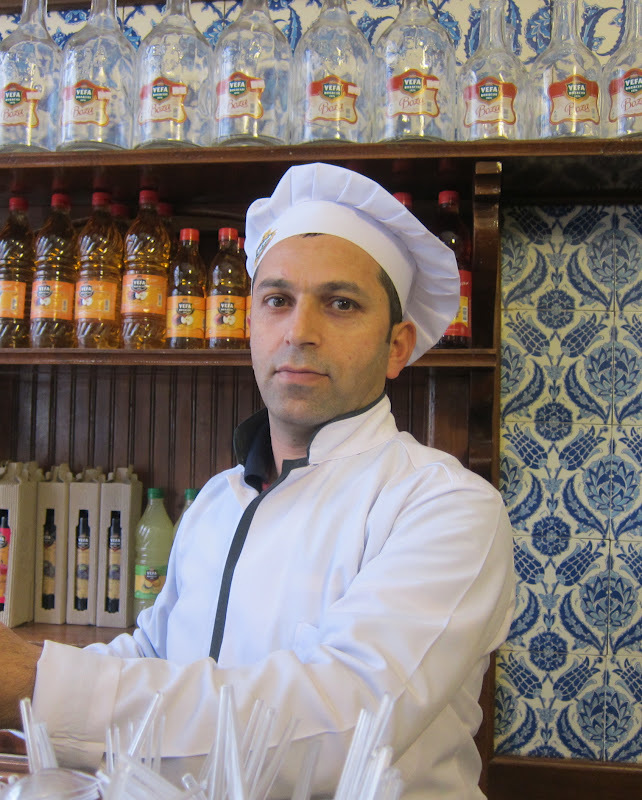 Boza, a traditional winter’s drink that’s been around for centuries, is made from hulled millet boiled in water, poured into broad shallow pans and after cooling, sieved, with water and sugar then added to it. I would say it is basically fermented millet with an alcoholic content of about 1%. How does that sound? Probably not too promising. Take heart: the Ottoman Empire fed its army with boza as it’s rich in carbohydrates and vitamins! It is served with a beguiling sprinkling of cinnamon and a few roasted chickpeas scattered on top. But visiting Vefa Bozacısı is an absolute must if you are in Istanbul. 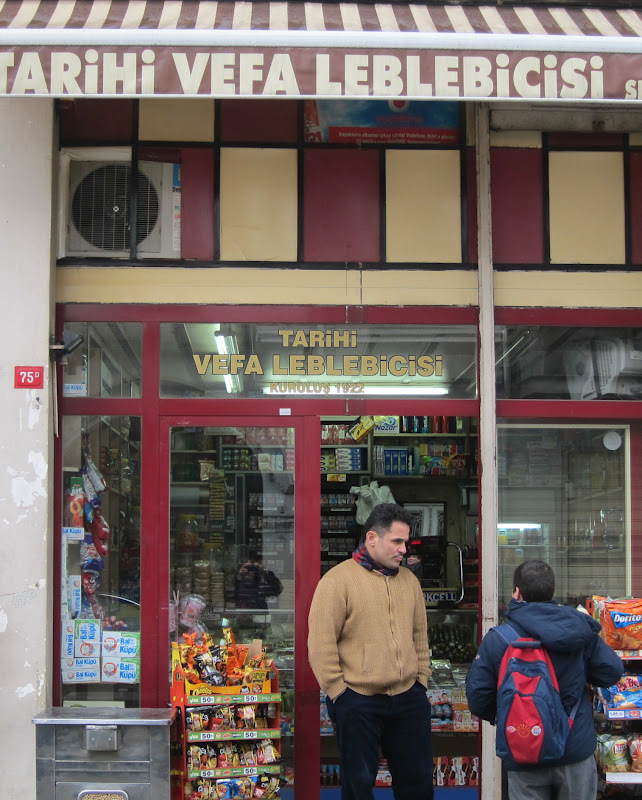 Vefa is the name of the crumbling shabby district just by Aksaray down the road from the ancient Roman aqueduct, and bozacı means the person who makes or produces this strange winter beverage. This is a registered family business started in 1876 by Hadji Sadık who immigrated from Albania to Istanbul in 1870 and settled in Vefa, a very select residential district in those days. 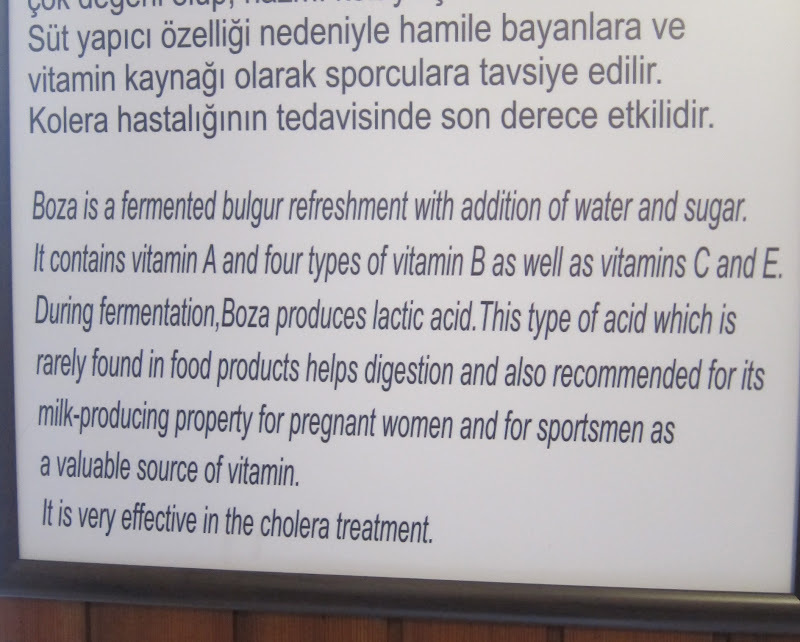 Also note its efficacy against cholera! 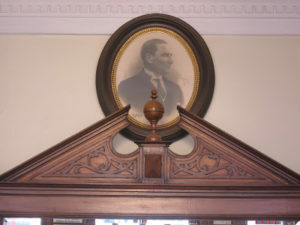 I just loved this place as there within that one room is Istanbul as it was all those decades ago: the picture of Atatürk high on the wall, the cup from which he drank his boza enshrined next to it. I can’t promise that you are going to love the taste but it is a real cultural experience so it doesn’t matter. It is the real thing, I promise you. 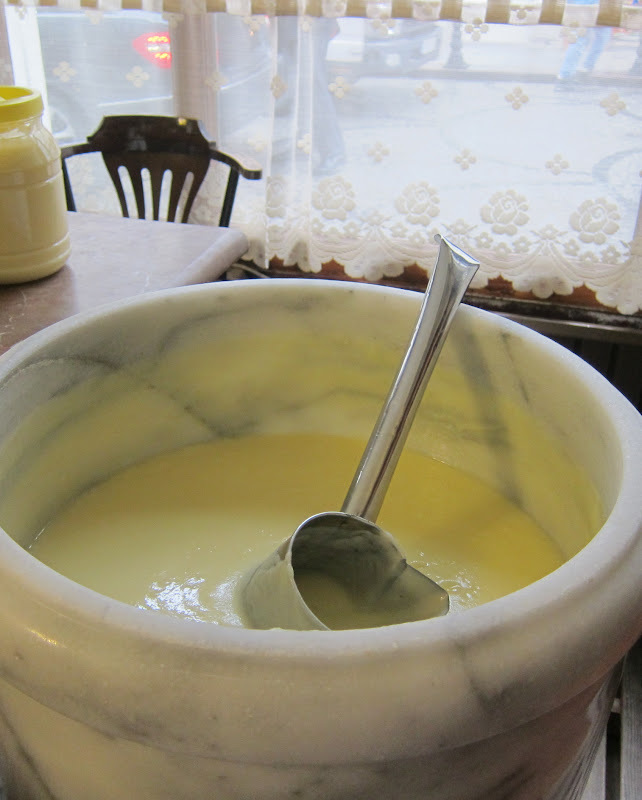 As you cross the portal, the marble step worn deep over decades, you enter the timeless world of boza. 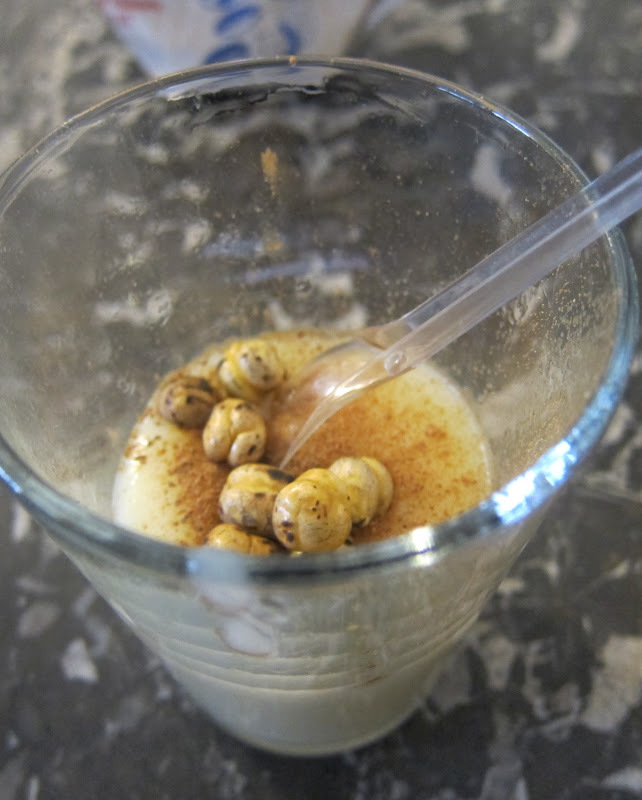 You should have stopped over the road before entering to buy your obligatory leblebi/ roasted chickpeas which you will sprinkle on top of your boza. A plastic spoon will help you eat them. Love your line: "liking it isn't the point." It sounds like a real experience – intriguing! Have I ever tasted this drink?? 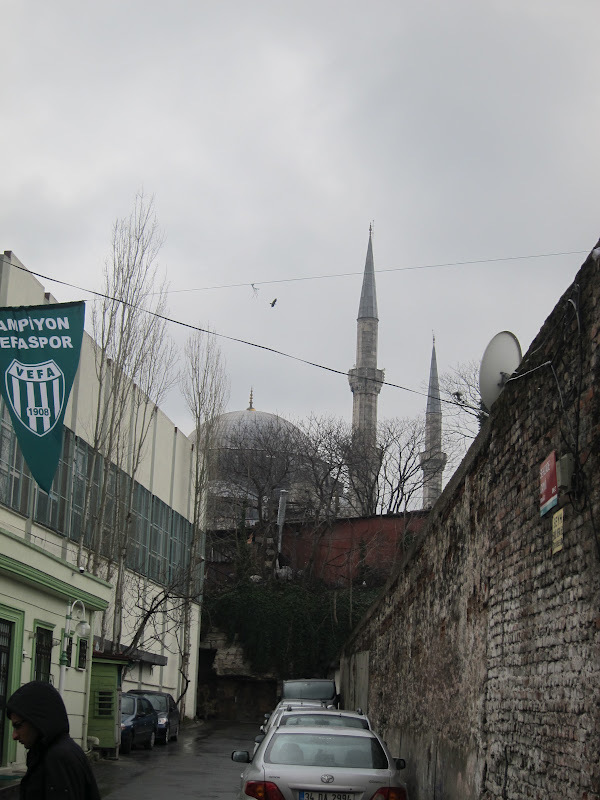 One of these days Shirley and I are going to have to pop over to Turkey to pay a visit to this exotic land. There is so much I am totally ignorant about. I enjoy learning through your blog. Have a good day. I think you really should! It has such a lot to offer and it is sooo very different to what we know! Thanks for your good wishes, Michel! Good day to you too! 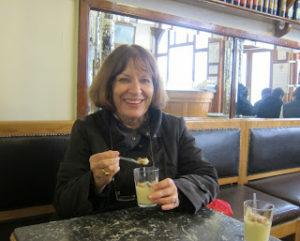 I *love* boza, and had almost a liter of it a day while I was pregnant. Insane. I use the verb "had" because it's not quite a drink and not quite a food, so I usually put it in a mug and eat it with a spoon. I don't love it quite that much anymore but I still love it. I'd never heard a bozacı calling at night until we moved to Sarıyer. Best sound ever. God, you're kidding!!! Did you really like it that much?? I didn't dislike it but view it as a curiosity rather. Yes, I like the sound too but where we live now because it isn't a traditional area, you never hear it. Today though I did hear (and see) an interesting-looking guy on a bike calling out in sonorous tones: Tamirrrr muslukcuuuuuu ie an itinerant plumber!!! Repairs …. taps …..
hmmm…how interesting. is it about the consistency of thick yogurt? It's about the consistency of store-bought applesauce. It tastes a little like that applesauce too, especially with the cinnamon. Sweetish and blandish. You are absolutely right when you say applesauce – perfect description of the consistency! And yes, better than dirt – or coal!! 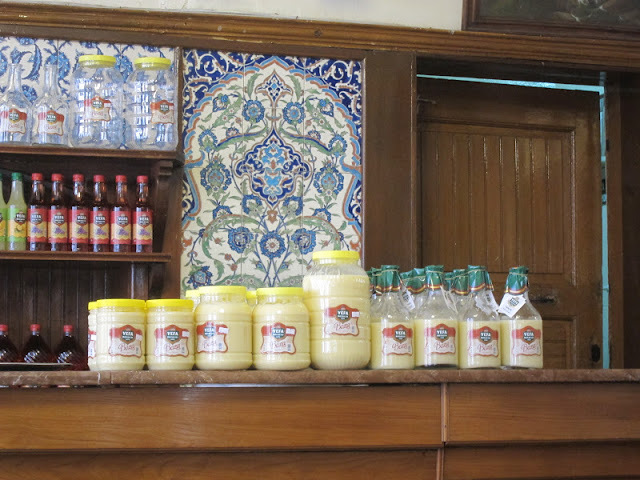 I'm embarrassed to admit that in 31 years in Turkey I have never tried Boza, but by strange coincidence, I saw it in bottles in Tansas yesterday and came home to look up the ingredients on wikipedia. I'm a bit put off by the consistency. I think I'll try it by spoon like Stranger suggests. 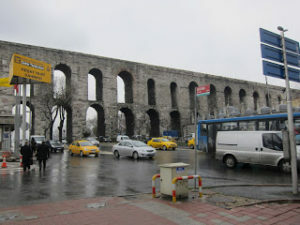 It's never been sold on the streets of Bodrum but I remember the call of the Bozaci from Izmir and Ankara. Is your husband Turkish? What does he think of it? Thanks for sharing your post and now I know a bit more information and ingredients about what is in this drink "Boza". Ayran is positively ordinary compared to boza!! Glad you liked the post, Erica. I must admit I can't stand leblebi. My husband describes them as like "eating sawdust that robs all moisture in your mouth." 😉 That's probably why leblebi is served as bar snacks so people drink more! However, I'll be in the Vefa district later this week and I'll try to pop over just to experience it as you said. I look forward to hearing what you think,Joy!